The sites of former Edogawa shokudou and Kato. 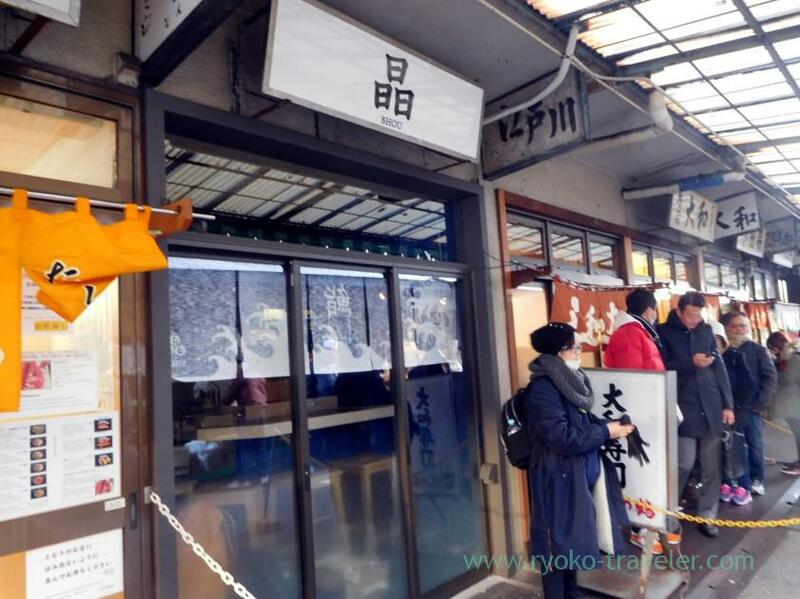 Kato and Edogawa Shokudou being popular eateries in Tsukiji market quit their business in 2016. And new eateries will be open instead of them before long. At first, former Edogawa shokudou. New eatery’s name is Shou (晶). I heard they serve sashimi bowl.But their shop curtain have the word “鮨 (sushi)”. They seems to be sushi shop. As you see, they seems to be in good order. I think they’ll be open next week. Next, former Kato (かとう). 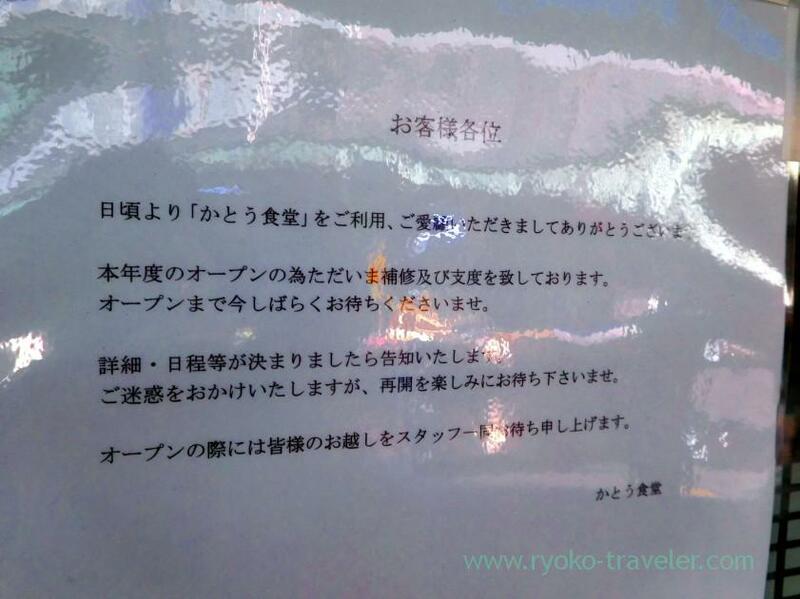 Kato quit their business at the end of last year. So, their shutters is still closed. There’s a notice at the door. It says new shop will be open within fiscal 2016. That is to say, they’ll be open until the end of this March ! New shop seems to be the same name. “Kato shokudou (かとう食堂)”. 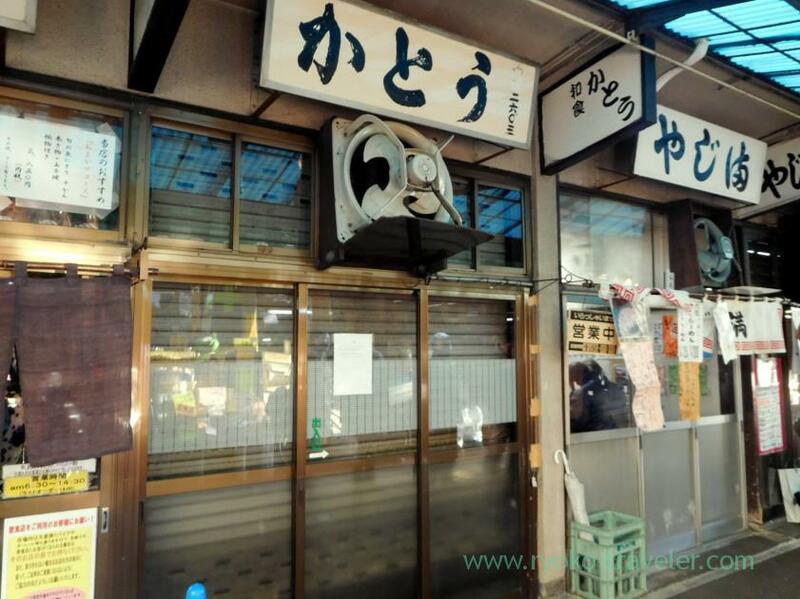 From its name, they seems to serve traditional Japanese teishoku as well as former Kato.